Powering the new Baleno RS is a 1.0-litre Boosterjet engine. It outputs 100 BHP and 150 Nm. The Baleno RS comes with a 5-speed manual transmission. This engine is likely to also make it to the Maruti Vitara Brezza petrol model and the S-Cross facelift. The new Baleno RS is an VW Polo GT TSI adversary. The Baleno RS comes to us at a time when sales of Petrol-powered cars is fast picking up and more powerful variants are fast gaining acceptance among the car buying lot. 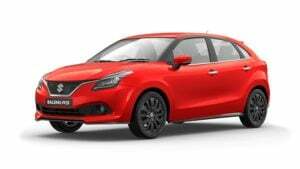 The Baleno RS, thanks to its low capacity Boosterjet engine, is high on both performance and fuel mileage. 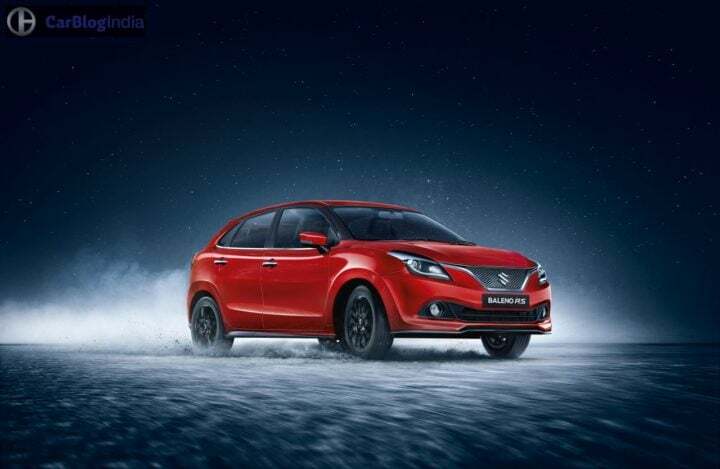 MSIL shocked everyone with the pricing of the new Baleno. However, the new Baleno RS Boosterjet is pricier than the Baleno 1.2 Alpha. 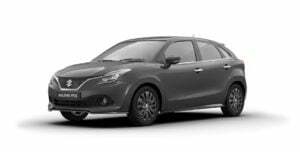 The Baleno RS has gone on sale in just Alpha trim. It has a sticker price of Rs 8.69 Lakh. The new Maruti Baleno RS marks the debut of Maruti’s all-new 1.0 L BoosterJet engine in India. It’s also the first time Maruti will sell a turbo petrol car. Power output of the India-spec model is 100 bhp while peak torque is 150 Nm. In comparison to the UK-spec model, India gets the Baleno RS in a slightly de-tuned state. Internationally, the Baleno RS benefits from 10 BHP and 20 Nm more. India will get a 5-speed manual transmission, at least initially. However, there have been rumours suggesting Maruti will add a 6-speed automatic gearbox to the lineup as well. 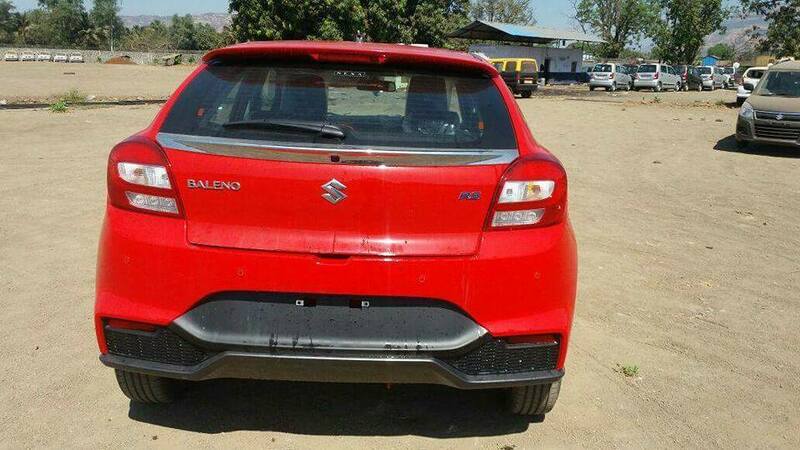 The new Maruti Baleno RS is likely to have a top speed of 199 KMPH and a 0-100 KMPH time of under 12 seconds. The Baleno RS gets 14 inch front brakes and 13 inch rear brakes. The car has 30% more power and 20% more torque than the Baleno 1.2 Petrol. 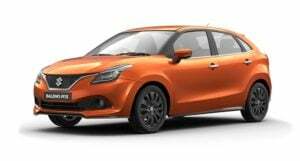 The Baleno RS gives a fuel mileage of 21.1 KMPL (ARAI). In comparison, the 1.2-litre Petrol varian offers an ARAI-certified fuel mileage of 21.4 KMPL. The Baleno has to be the most radical design from Maruti in recent times. Thanks to many bold design elements, the new Baleno does look a lot bolder than its rivals. The car’s ‘liquid flow’ design language puts the latest Suzuki supermini right in the league of models like Hyundai Elite i20. However, the new Baleno does have some design elements that are distinctly Suzuki. The front-end boasts a big V-shaped grille and swept back Swift-like headlamps. Side profile isn’t as bold but does get flowing lines and pronounced wheel arches. Features list of the Baleno RS is the same as that of the standard Baleno sold in India. Dual front airbags and ABS are standard. Top-end trims get Maruti’s SmartPlay touchscreen AVN, auto aircon, keyless entry and push button start, etc. It could feature a new alloy wheel design (picture below) similar to the UK-spec Baleno. 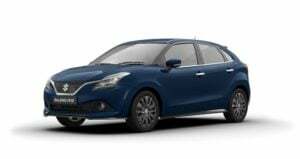 The new Baleno earlier came with a 1.3-litre DDiS190 Diesel and a 1.2-litre, K-Series VVT Petrol engine. The Petrol engine produces a max. power of 83 bhp and a peak torque of 115 Nm. The engine comes mated to a 5-speed manual transmission. There’s also an optional CVT transmission. The ARAI-rated fuel economy stands at 21.4 KMPL. The Baleno RS gets a 1.0 litre Turbo Petrol engine with 100 BHP-150 Nm of max power-torque. Being a performance-oriented model, the new Maruti Baleno RS rivals the likes of Volkswagen Polo GT TSI and the Abarth Punto. Stay tuned to Car Blog India for more on the Maruti Baleno RS India Price List, Specifications, Mileage, Features and a test drive review with images.